Established in 2006, Abu Dhabi Terminals (ADT) – a subsidiary of Abu Dhabi Ports – enjoys a strong relationship with the global maritime industry and trade community. Underpinned by its strategic location at Khalifa Port, the company is successfully driving business across the Emirate of Abu Dhabi by streamlining supply chain operations through its comprehensive package of logistics solutions to aid trade partners and shipping lines. 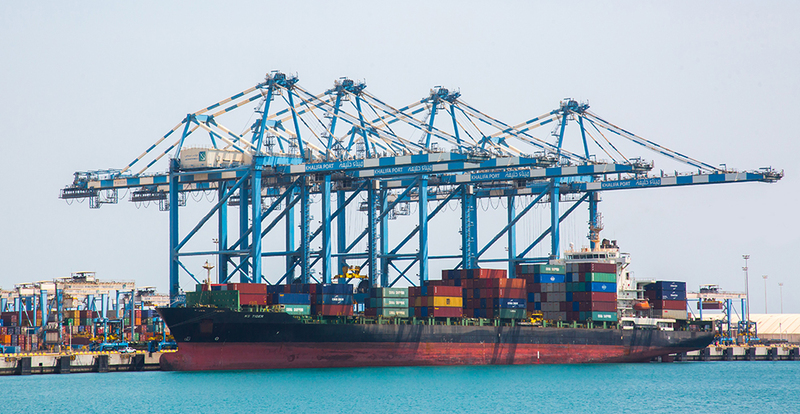 ADT manages and operates the Khalifa Port Container Terminal (KPCT), the first semi-automated and technologically advanced container terminal in the Middle East, for which it acquired exclusive management rights through a 30-year concession agreement, with Abu Dhabi Ports, signed in 2012. 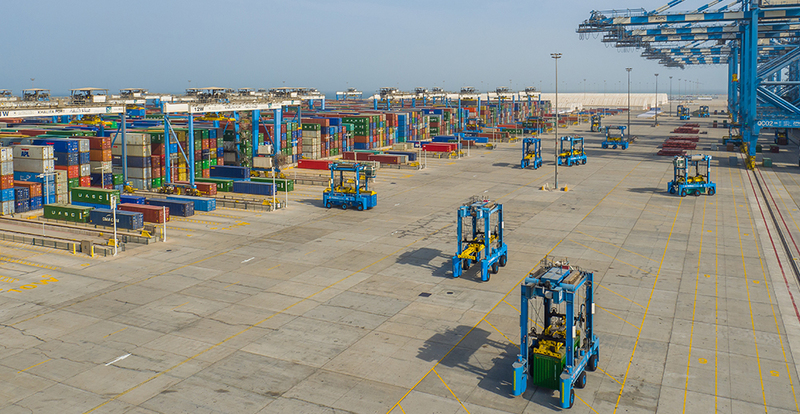 In October 2014, ADT achieved a major milestone by handling 2 million TEU (20-foot-equivalent units) since the opening of Khalifa Port. The accomplishment surpassed the initial targets set by the company, making steady progress with achievements such as the establishment of a 700 metric tonnes polymer packing plant inside the terminal for its long-term supply chain partner Borouge as well as dedicated Container Freight Station (CFS) for Emirates Global Aluminium (EGA). Over the years, ADT also increased its warehousing capabilities to offer faster and more efficient supply chain solutions and reduce costs for its customers. The port’s growing network of services, ease of doing business and supply chain connectivity resulted in year-on-year growth as import/export trade increased. 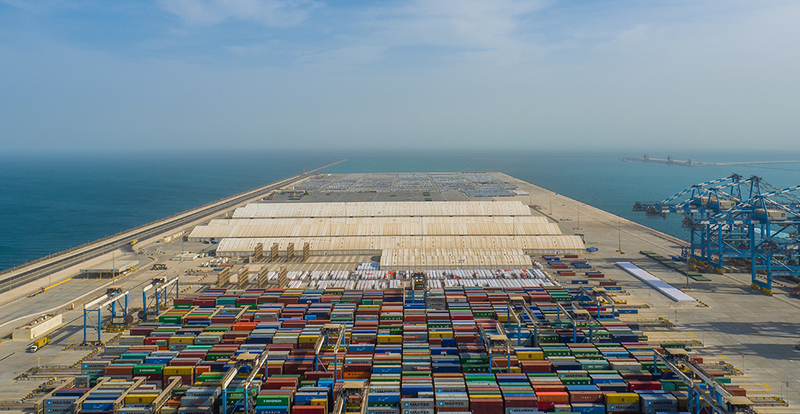 In May 2018, Abu Dhabi Ports, entered into a joint venture agreement with Terminal Investment Limited (TIL) to use Abu Dhabi Terminals (ADT) to significantly double the existing 2.5m TEUs capacity in ADT’s terminal in Khalifa Port to 5.3m TEUs by 2020. The JV is based on a 30-year concession, allowing for an extension of 5 years. As part of the agreement MSC will create its Arabian Gulf regional hub in the new terminal at Khalifa Port. While ADT continues to operate the terminal, MSC has started calling at ADT Terminal in Khalifa Port with new services from July 2018 with the expansion phases developing over the coming 2 years. Innovation lies at the heart of ADT’s business and comprises 80 percent of the business process where it serves its customers and consignees by offering an advanced terminal that is based on technology. Some of our firsts include the first semi-automated terminal in the region with manned and automated equipment with the yard aiming for 100 percent automation in the future.